Video recorded with dron, where you can see our enclave and the spectacular views that are from the hotel. 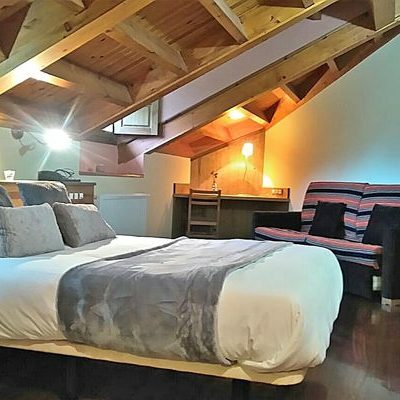 In Bobia de arriba, a small village of barely 25 inhabitants dedicated to livestock and agriculture, in the heart of the Picos de Europa, very close to Cangas de Onís and the lakes of Covadonga and next to the National Park, in a valley where Is breathe peace and tranquility is located Hotel Rural El Rexacu. In this idyllic landscape rises El Rexacu, a typical Asturian house that preserves the architecture of the place, the stone walls carved from the outside and the warm wood of its interior, which together with the familiar treatment, create atmosphere that will make you feel like at home. Its privileged situation allows, without hardly displacements, to know much of Eastern Asturian. 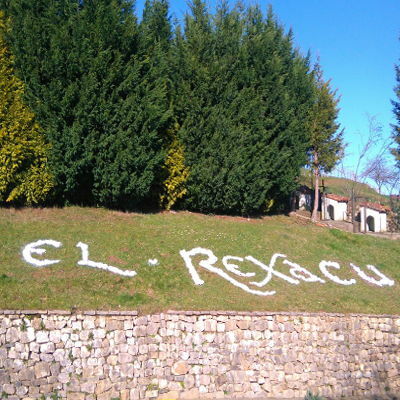 In El Rexacu you will enjoy the Rural Tourism in Picos de Europa: Visit the Sanctuary of Covadonga, the lakes Enol and Ercina, the viewpoint of the Fito … Descend in canoe the famous river Sella, to travel the route of the Cares or to enjoy the beautiful beaches Of Llanes and Ribadesella. Discover our 15 rooms. Rest, comfort and rustic simplicity divided into double, special, triple and quadruple so you can choose the one that suits you best. The Rexacu in pictures and videos. Discover the facilities, the rooms, the landscapes and enamorate of the hotel, our environment and everything that we offer you. We are in a perfect area, both for lovers of the tranquility of rural tourism, as active tourism and sports activities in a unique environment. 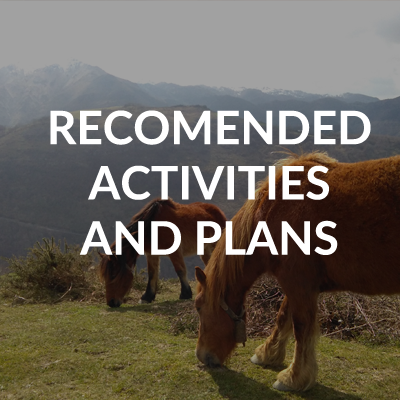 Via Ferratas by the hand of specialized guides, hiking for what they want to enjoy a unique landscapes, descents in canoe by the famous river Sella and much more. Click on image for more information. If you wish, we can advise you and get in touch with one of the many companies specialized in active tourism in the area to carry out your favorite activities with total security and always accompanied by a professional to make the most of your experience. Imagine what your perfect group experience would be like and tell us. We put at your disposal our facilities so that you enjoy an unforgettable getaway completely adapted to your taste. From 18 people you can have the rent of the hotel in full form, make use of all the facilities and complement your getaway with the services of your choice. Dinners, meals, bar service … Click on the image, discover our section for groups and through our contact form, tell us all about that getaway.